WASHINGTON, April 9, 2019 – Charity Navigator has awarded Air Force Aid Society (AFAS) our fourth consecutive 4-star rating as a result of our strong financial health and commitment to accountability and transparency. Charity Navigator is America’s largest independent charity evaluator. 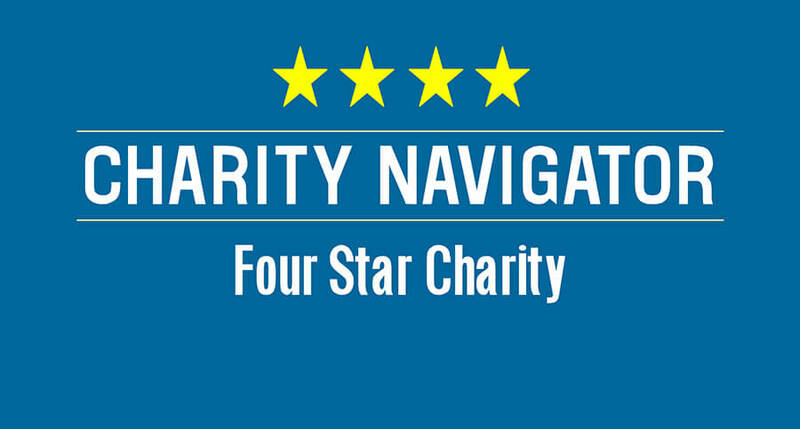 Since 2002, using an objective analysis, Charity Navigator has awarded only the most fiscally responsible organizations a 4-star rating. In 2011, Charity Navigator added 17 metrics, focused on governance and ethical practices as well as measures of openness, to its ratings methodology. These Accountability and Transparency metrics, which account for 50 percent of a charity’s overall rating, reveal which charities operate in accordance with industry best practices and whether they are open with their donors and stakeholders. On June 1, 2016, Charity Navigator upgraded its methodology for rating each charity’s financial health with CN 2.1. These enhancements further substantiate the financial health of four-star charities. Thatcher further emphasizes that achieving this type of distinction demonstrates that donors can feel confident knowing that their donations are going to be used by financially responsible and ethical charities. Air Force Aid Society is a 4-star Charity Navigator-rated private, nonprofit organization. Founded in 1942, the Air Force Aid Society’s mission is to help relieve financial distress of Air Force members and their families and assist them in achieving their educational goals and improving their quality of life by providing proactive programs. In 2018 alone, the Air Force Aid Society provided over $21.4 million to airmen and their families through emergency assistance, educational and community programs. Headquartered in Arlington, Va., the Air Force Aid Society administers assistance through Airman and Family Readiness Centers around the world and maintains cross-servicing agreements with the Army Emergency Relief, the Navy-Marine Corps Relief, the Coast Guard Mutual Assistance and the American Red Cross to offer emergency assistance 24 hours a day, 365 days a year. To learn more about the Air Force Aid Society, please visit afas.org or follow us on Facebook, Twitter and Instagram. Charity Navigator, www.charitynavigator.org, is the largest charity evaluator in America and its website attracts more visitors than all other charity rating groups combined. The organization helps guide intelligent giving by evaluating the Financial Health and Accountability & Transparency of more than 8,000 charities. Charity Navigator accepts no advertising or donations from the organizations it evaluates, ensuring unbiased evaluations, nor does it charge the public for this trusted data. As a result, Charity Navigator, a 501 (c) (3) public charity itself, depends on support from individuals, corporations and foundations that believe it provides a much-needed service to America’s charitable givers. Charity Navigator can be reached directly by telephone at (201) 818-1288, or by mail at 139 Harristown Road, Suite 101, Glen Rock, N.J., 07452.